Farren West is the owner of Key Inspection Services and is a contributor to the Seattle Condo Blog. As a buyer, purchasing a home and scheduling a move is stressful enough without having to worry about potential structural issues. The cost of a new construction home inspection runs with median home prices in the Puget Sound area. So, with a median price around $400,000, a new home inspection runs approximately $400 (condos inspections are generally priced lower than single family homes). Thus, you’ll gain additional peace of mind for roughly a tenth of a percent of the price of the property for an inspection. Now here’s my impression as an inspector. I have been inspecting properties for over 8 years and haven’t found a single one without a problem. Small or large, most need some sort of attention to prevent a safety hazard or a potentially significant financial investment if not tended to in a timely manner. With new construction a list of corrections can be just that, a simple punch list with photos to assist the buyer and contractor to ensure all details were corrected by the time of the final walk through. Also, since the home is new, systems and appliances haven’t been thoroughly tested or used to ensure they’re functioning properly before you move in. Here’s a sample list of items that would be tested during the inspection: run water throughout in the home, flushing toilets, test appliances for proper installation & function, test the furnace and heat distribution, the fireplaces, review in the attic/roof and crawlspace areas (single family homes). If you have any questions, or if you’d like to view a sample new construction report, feel free to contact me. 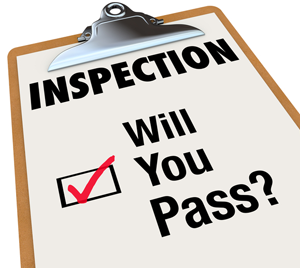 Is Your Condo Ready for Inspection? Pre-Construction Investing Seattle Condo Construction on the Horizon Can I hire my contractor dad to inspect my condo? 1) Gas fireplace was improperly installed and the gas line had a big ol’ kink in it. 2) Drain plugs from the plumbing pressure testing were still in place. 3) Air ducts were left unconnected so the entire upstairs received zero airflow. 4) Garbage was left in the attic and crawlspace. 5) Insulation was missing in the crawlspace. In case you’re wondering, these weren’t cheap condos either. We’re talking $400K and up, and this was five and ten years ago. In short, construction quality is crap. Protect yourself with an inspection. And find your own inspector while you’re at it. Certainly don’t let the property sales rep suggest one to you. Inspections are a wise investment as a new owner and as an association. I would have an exterior inspection done at the 2nd yr and 4th year for any new associations to check for chalking issues, water intrusion problems, etc. Should amend your home owners dues to add an inspection as a line item, rather than let problem go un-noticed. Also if there is a problem detected early, go after the developer sooner than later for the remedy and costs. It’s always been my policy to strongly advise my clients to get an inspection, even when it’s brand new construction. I’ve even considered devising a waiver that clients would be obligated to sign to acknowledge that they’re going against my advice if they choose not to get an inspection. Fortunately those occasions have presented themselves very rarely, so rarely in fact that I’ve never gotten around to devising the waiver. In the one or two instances in which clients didn’t get an inspection there haven’t been any major issues yet, but there is the added annoyance that they don’t know how some of the features (e.g. an auxiliary heating system) in their home works. So an inspection really serves a dual purpose: 1.) to locate and identify possible defects, and 2.) to teach the homeowner how everything in their new home works and how to take care of it.